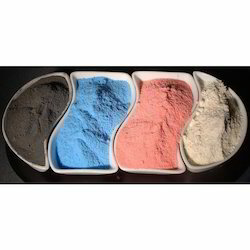 coveral range of fluxes are used for covering and dossing molten aluminium and it’s alloys. Coverall fluxes are also available for modifying aluminium - silicon alloys, for recovering aluminium from dross, for reclaiming chips, turnings and boring and for removal of oxide build up on furnace walls. 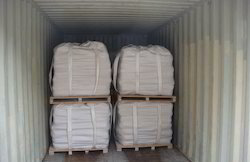 Potassium titanium fluoride also known as potassium fluotitanate or potassium hexafluorotitanate is a white crystalline powder that is used as a component in fluxing & grain refining agents for Aluminium and Magnesium and in the manufacture of Titanium metal. PTF Is a white crystal powder-specific gravity(sp.gr) 3.012.melting point:7800C, soluble in hot water, slightly soluble in cold water and inorganic acid. It turns gradually into TiO2 when heated to 5000C in the air. ZINCREX range of fluxes are in powder form and are used for protecting and cleansing zinc and its alloys during melting and for high recovery of zinc from drosses. Normally zinc is prone to oxidation during melting and the dross formed contains lot of metallics in it. ZINCREX range of products help in reducing the oxidation during melting as well as recovering metallics from the dross. Add sufficient ZINCREX(about 0.25% by weight) during early stages of melting to form cover. When the change is compeletely molten, add a further 0.25% of ZINCREX and plunge and rabble well into the melt, preferably with a perforated plunger. After all reactions have ceased, allow the melt to settle for a few minutes before skimming clean and pouring. Allow the dross to cool and blacken overall so that all flame has died out and there are no visible incandescent hot-spots, which could cause excessive fumes.Do not let the temperature rise above 4000C during treatment.Rabble the black dross and add ZINCREX-85 until a powdered residue is obtained.On rabbling further, the application rate (usually from 0.25 to 0.5% depends upon the quantity of dross treated. Avoid excessive additions and add a little at a time.Skim the powdery residue with a perforated skimmer. Once a good separation is obtained, do not restir.For maximum metal recovery, place the skimmer in a preheadted in a conical shaped dross cart, where with stirring more metal is released through the bottom. ZINCREX compounds are hydrophobic and the containers should be kept securely closed when the products are not in use. Since our establishment, we are famed as the significant and noted manufacturer, exporter and supplier of Injection Flux. Under experts’ strict surveillance, the offered flux is formulated at well established processing unit using top grade chemical compounds. The provided flux is widely used for molten aluminium treatment where degassing is carried out. In addition, the provided Injection Flux can be bought from us at marginal rates. 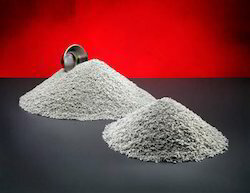 The amount of salt used for the melting process depends on the scrap characteristics and varies in a range of 5-8% of the aluminium scrap charge. First, the salt is melted down in the rotary furnace. Next the scrap is charged into the salt bath. After the metal is molten it is tapped and the salt slag is cast into steel moulds where it cools down. The advantage of the rotary furnace is that even highly contaminated scrap can be handled. Covering fluxes prevent oxidation losses of aluminium during melting. Thus improving the yield of molten metal from the charge. Alumeg is a sodium free flux that can be used for all aluminium alloys for degasing, covering and drossing. It also removes all alkaline metals from molten aluminium. It also form a protective coating to avoid oxidation. Alumeg is also used for removing hydrogen from the melt. Alumeg should be added to the melt at the temperature of 690-750 Degree Celcius. The recommended application rate should be 0.1 to 0.2% of the melt size. Rebel the melt and remove the dross from the top of molten metal.